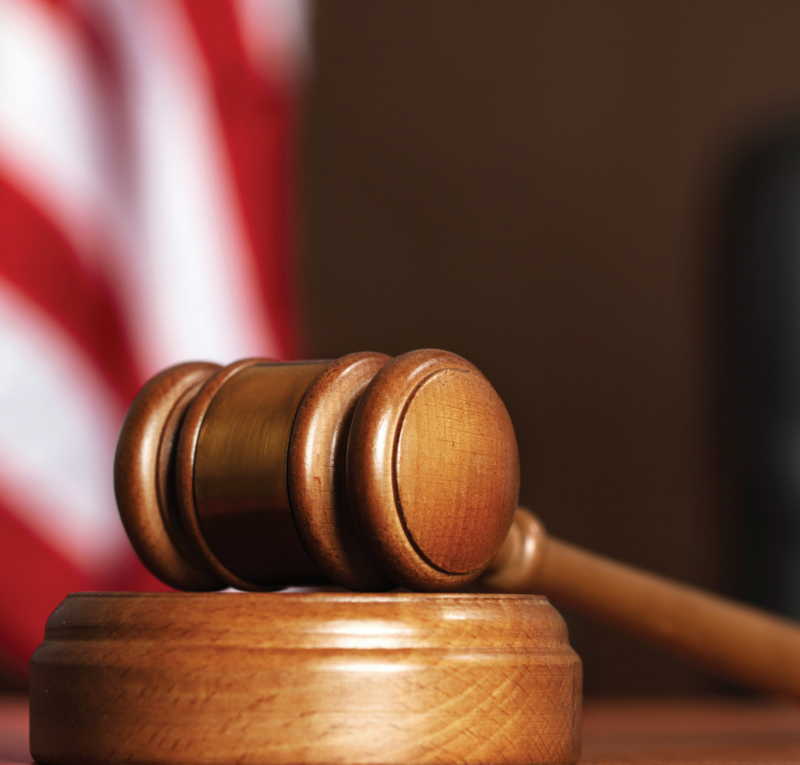 In August 2016, the United States Department of Justice issued a report following its investigation into the policies and practices of the Baltimore Police Department. 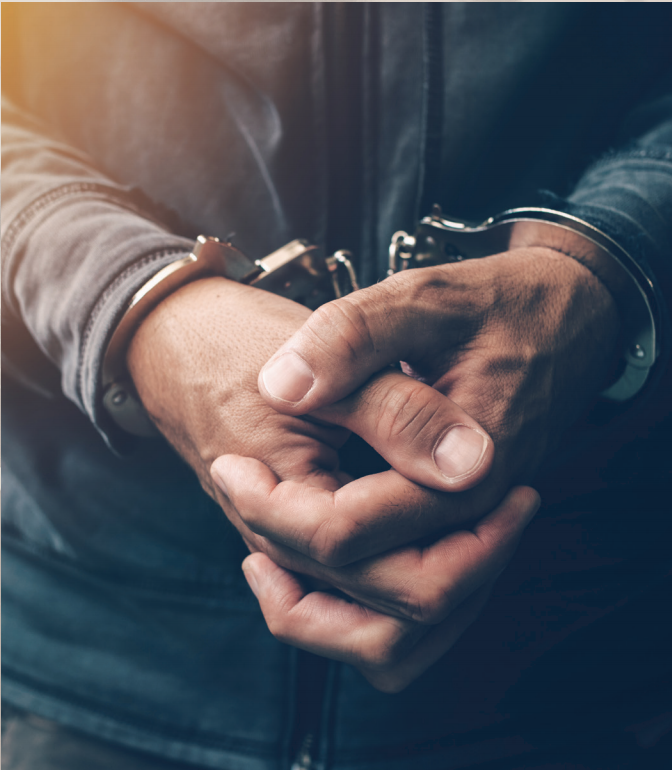 The report was in response to the 2015 police-involved death of Baltimore resident Freddie Gray and the subsequent unrest that gripped the city. During that historic week in April 2015, the world watched as Baltimore residents took to the streets to call for an end to police brutality and demand reforms in police accountability. 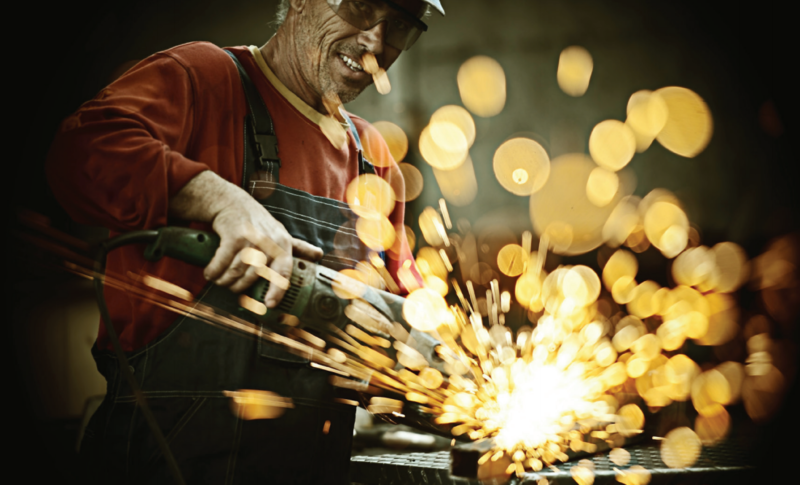 In response to the death of Freddie Gray, what surfaced was communal anger and frustration at a dynamic that has plagued Baltimore communities for decades: an over-reliance on incarceration and a divestment in economic opportunities. 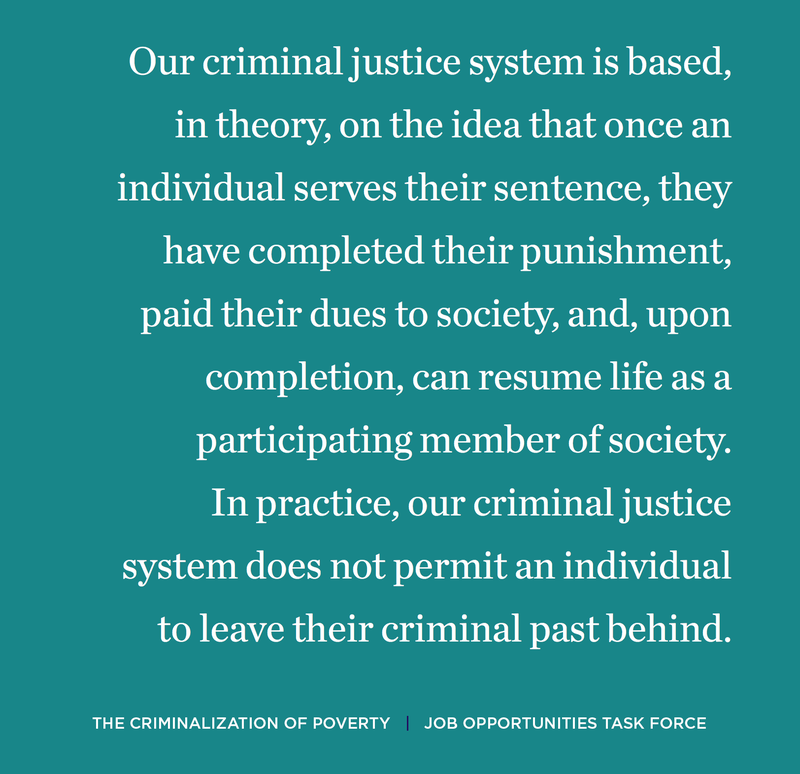 Amid national and local concern about the impact of mass incarceration, the Job Opportunities Task Force (JOTF) took up an investigation of Maryland laws to determine whether they punished people for being too poor to meet the demands of the law, and if so, to what extent. 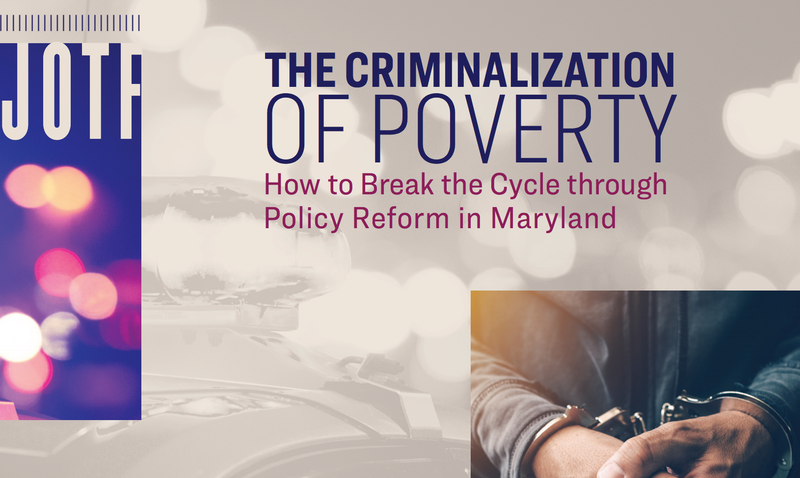 In its report, The Criminalization of Poverty: How to break the cycle through policy reform in Maryland, JOTF found that Maryland is penalizing people for being poor, creating de facto debtors’ prisons and trapping many in a vicious cycle where the smallest interaction with the criminal justice system becomes a life sentence. These policies and practices also disproportionately affect people of color and their communities. 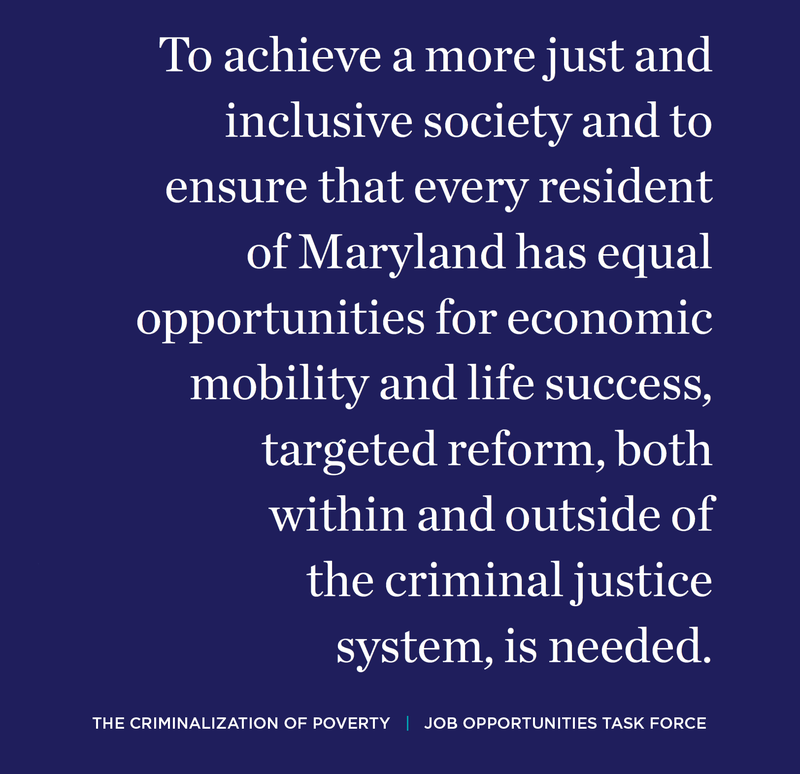 In the full report, JOTF examines how these policies, and more, disparately impact the poor and people of color, creating a vicious cycle of poverty that has been criminalized through Maryland’s current laws.